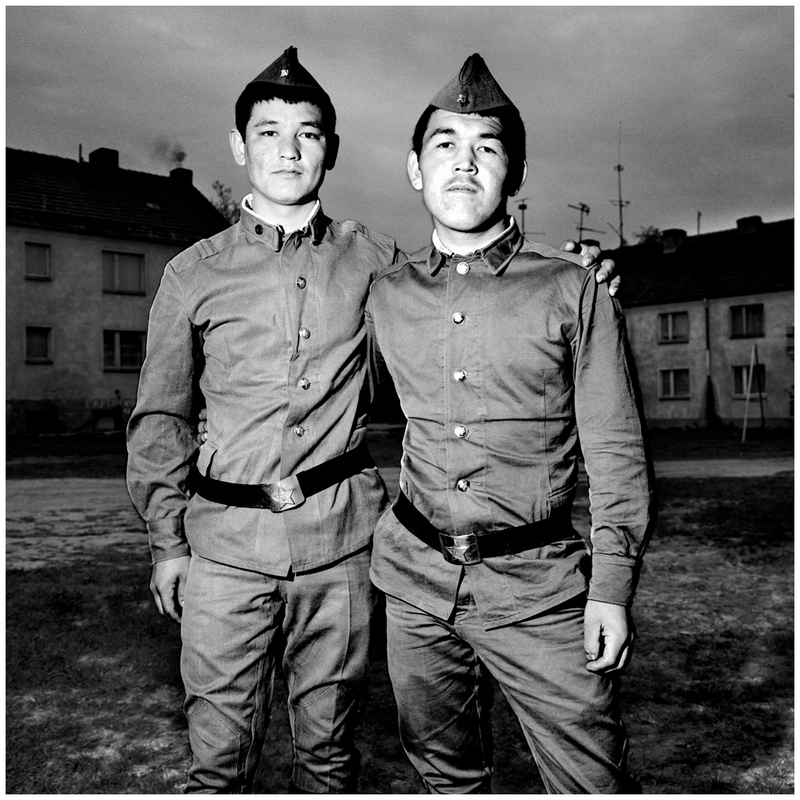 These two solderiers in the Soviet army were stationed in East Germany. When the wall came down, westerners were no longer the enemy, and we easily walked in to their residential compound an took photographs. For Rolling Stone Magazine. With writer Guy Martin.